The Inaugural HSMAI’s Revenue Optimization Conference (ROC) is hosted at Madinat Jumeirah Conference & Events Centre in Dubai, United Arab Emirates. The Property is located 25 minutes away from Dubai International Airport, Madinat Jumeirah is situated conveniently for access to Dubai Media City, Dubai Internet City, the Palm Jumeirah and Dubai Marina. It is also adjacent to Burj Al Arab Jumeirah, Wild Wadi Waterpark™ and Jumeirah Beach Hotel, and 10 minutes by car to the nearest shopping mall. 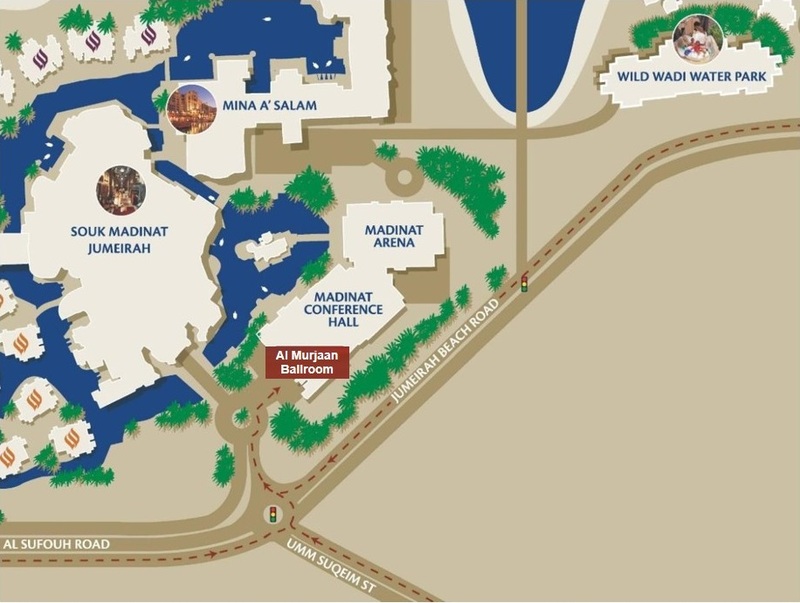 Parking - Free valet service will be available at the Murjaan Ballroom Entrance that is next to the Madinat Souk Entrance. Please remember to get your ticket stamped at the registration desk on your way in and once you pick up your Event Badge. Self Parking in Souk Madinat is available at own cost as per applicable charges. Please avoid using the Al Salam hotel entrance valet service as this is a long walk to the conference venue and can cause you delay. Al Salam hotel entrance valet service would be at your cost. Dubai International Airport – Use the Garhoud bridge to reach Sheikh Zayed Road. Take the exit from the 4th Interchange towards Al Sufouh Road. Abu Dhabi – Take the exit from the 4th interchange of Sheikh Zayed Road towards Al Sufouh Road.